While BDS organizations are being barred from entering Israel and President Trump is cutting off funding to UNRWA there are others who are busy speaking out for Israel in unexpected places. 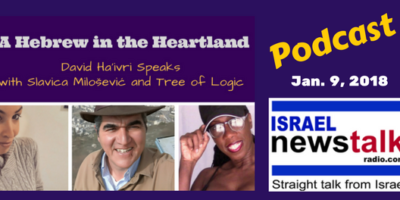 On today’s show David will be speaking with Slavica Milošević from Montenegro, she is a pro Israel blogger and Editor at Israel-Serbia Friendship Association. 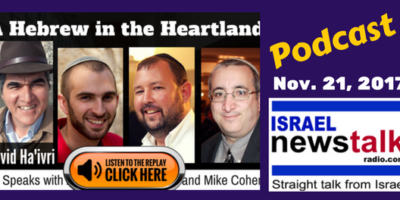 What are public opinions on Israel in Serbia and what can be done to improve relations between our nations. Tree of Logic remembers Jews who she experienced in different stages in her life. Although some might refer to them as “Nerds”, she remembers them as people who invested in their children’s education and pushed them to excel in life. She suggests that the Whites who envy the Jews’ success, put their efforts in working harder to achieve themselves instead of blaming others who do just that. 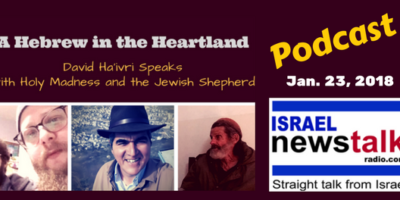 David Ha'ivri will be speaking with Inon Dan Kehati, an unusual and unexpected type of Peace Activist. 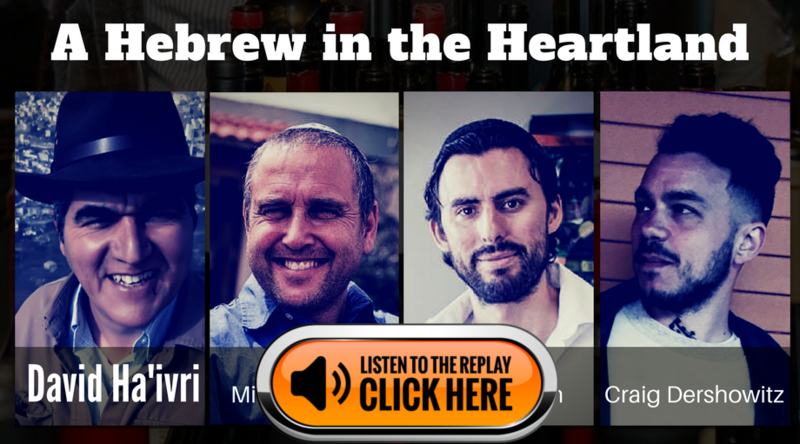 Although Inon might be hard to tag or label, he is a a proud Israeli Jew and a patriot, as well as a man of faith. But those trying to to package him would find it hard to call him a right-wing or left wing political affiliate. 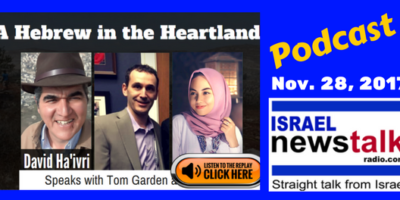 We will hear from Inon about a recent blog post that he shared about a frustrated Arab resident of areas under Israel's control. Nabil although considered by many to be a Palestinian, realizes the reality of Israel's Authority in this land and just wishes to live his life as a person. But as we will hear he has reached the point of giving up hope for normal relations between Jews and Arabs in the land. 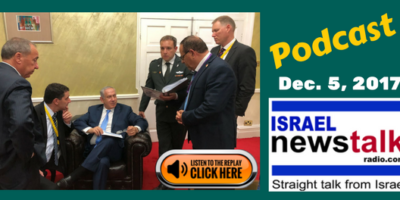 On Today Show David Ha'ivri will be speaking with Ayoob Kara who has just returned from a delegation to Africa with Prime Minister Netanyahu where they attended the inauguration for President Kenyatta of Kenya. There are Netanyahu also announced the opening of a new Israeli Embassy it will Rwanda. Israel is not becoming more isolated but on the contrary this government is expanding Israel's reach in the International Community. What about celebrating Christmas in Israel is that okay? What is the holiday of Hanukkah all about? 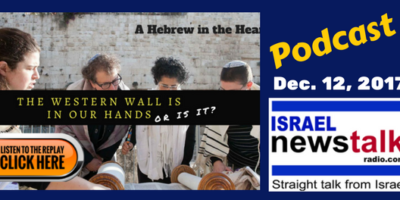 Some people are upset that Christmas Celebrations by immigrants to Israel are frowned on. 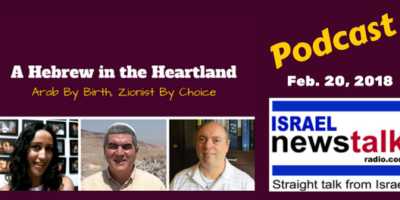 David will be expressing his views on these issues and also giving some insight on the definition of the term Aliyah. Is Aliyah a direct translation of the word immigration or does it have a deeper meaning. And then back to Hanukkah what events are we actually commemorating? 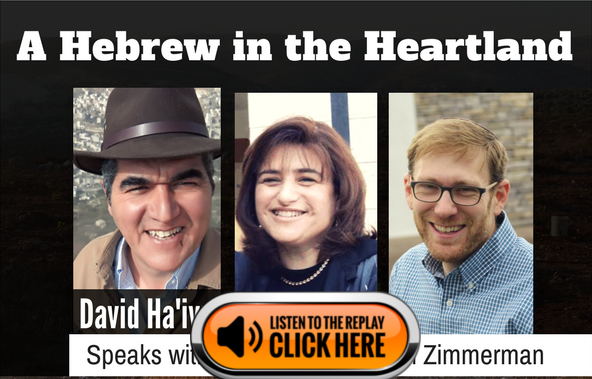 David will take us to meet a Muslim woman in Egypt who loves the Jewish people and Israel. 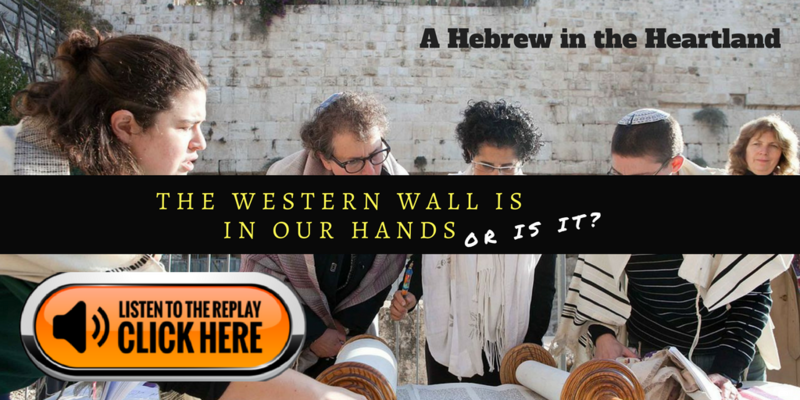 From Biro we will learn that according to the Koran the land of Israel actually believe it belongs to the Jewish people. “Everyone knows this” she will tell us. Is this part of a growing phenomenon in the Arab and Muslim world that will question hostility towards Israel and the Jews? Time will tell. 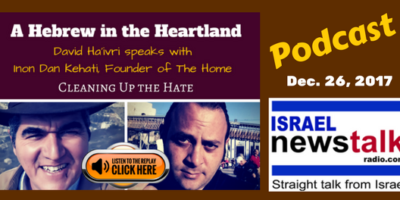 On today's show David Ha'ivri will be speaking with Youtuber Analytical Chick a conservative Jewish voice discussing relationship between Israel's government and the reform movements in America. Together and think we'll try to understand what the agenda is and if this is a real need or has to do with a liberal agenda being used to cause a rift between ‏American Jewry and Israel's government. 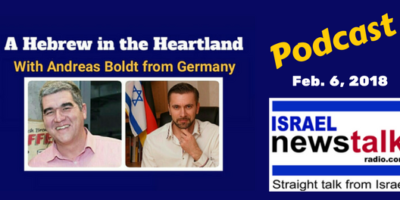 David will also be speaking with an Hungarian journalist and Scholar about the agenda of George Soros for Israel and Europe. They will try to figure out why some have claimed the criticizing George Soros could be considered anti-semitism. This may be confusing being the George Soros agenda is an anti-Zionist scheme. Is anti-Zionism actually a front four modern-day anti-semitism? 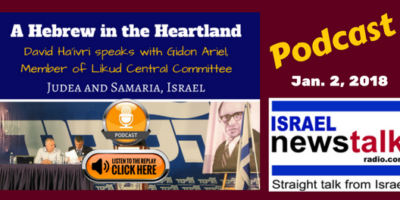 Speaking with Paula Stern who is a blogger in Israel. For many years blogging as a soldier's mother sharing the intimate experience as a mom who sent three of her sons to serve in the IDF. 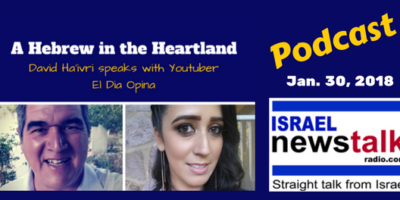 today she hosts the Israel blogger platform that provides a stage for 20 difference Israeli bloggers. 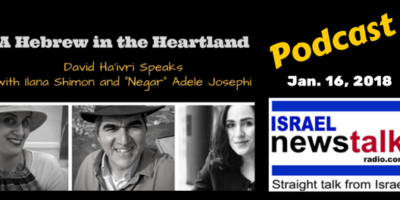 On Today Show David Ha'ivri will be speaking with Ayoob Kara member of Knesset and minister of communications in the Netanyahu government. Cara has just returned from a delegation to Africa with Prime Minister Netanyahu where they attended the inauguration for President Kenyatta of Kenya. There are Netanyahu also announced the opening of a new Israeli Embassy it will Rwanda. And apparently Israel is not becoming more isolated but on the contrary this government is expanding Israel's reach in the International Community and improving relations with these countries. We will also be speaking about Ayoob Kara’s vision for regional cooperation and establishment of a front including Israel Saudi Arabia and the United States to stand up two Iranian aggression and it's support for terrorism and radical Islam. Columbia University the new front for Defenders of Israel. 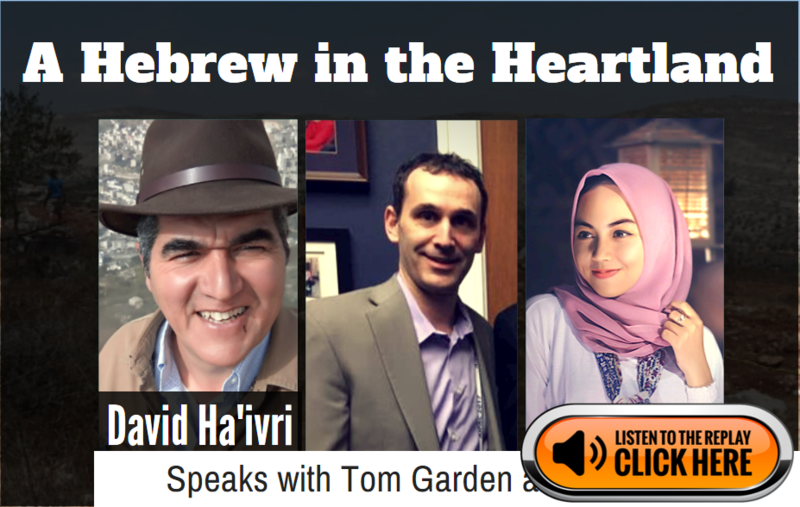 David will be speaking with IDF officer Reserves Ofir Dayan who has chosen to study at Columbia because it is the side of major anti-Israel operations on campus. 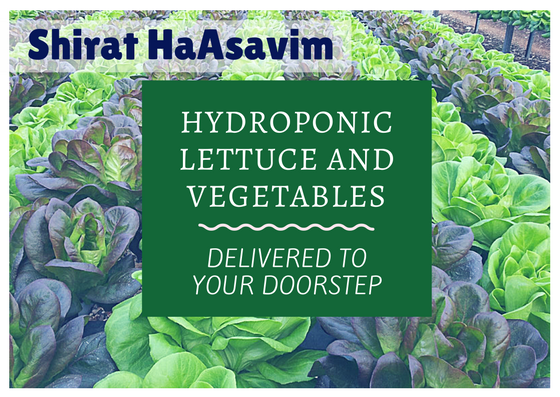 Ofir grew up in the Shomron community Maale Shomron and and was active in the Jabotinsky Betar movement as a youth. 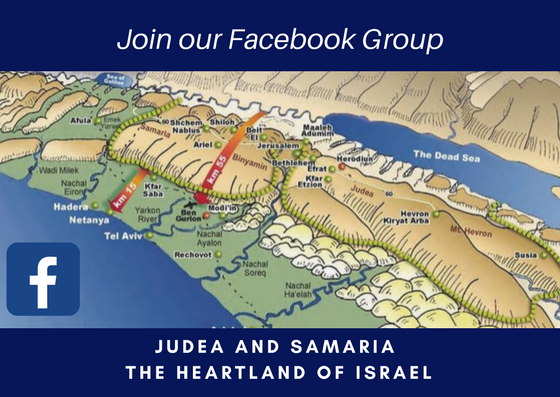 She is a proud secular Israeli who believes that Judea and Samaria is the cradle of Jewish civilization and culture and that this region must remain part of the state of Israel forever. At Columbia University Ofir and her Zionist group confronted the anti-Israel propagandists who claimed that Israel is pink-washing. If you don't understand what that means listen to the show and check out their video on Facebook. Would you be surprised to know that young people in Pakistan enjoy listening to Israeli music. We will be speaking with a young man who is not only a big fan of his rally pop music and film but also writes about ‏it and blogs on the internet. Sarmad Iqbal is a Pakistani writer, blogger and student who has a penchant for reading, writing, learning languages, and studying cultures, religions and geo-political affairs. His articles have been published in Pakistan’s The Nation newspaper, Dunya Blogs, ARY Blogs, Parhlo, the Times of Israel, International Policy Digest, the Algemeiner, BuzzFeed, Youth Ki Awaaz, the Jerusalem Post, in the Armenian Weekly,the Massis Post,The Quint India and also in American Comeback magazine. 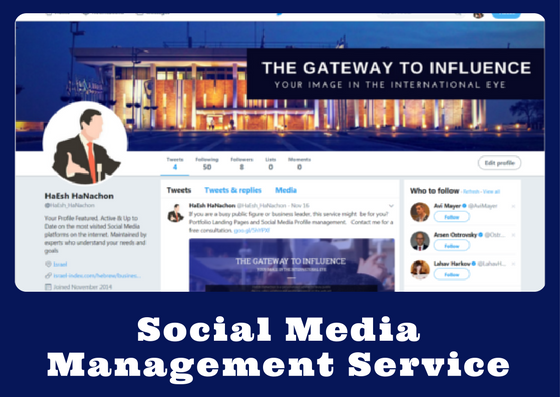 He can be reached on Twitter: @sarmadiqbal7. 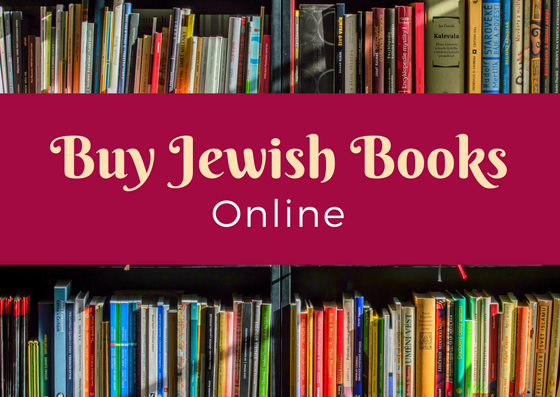 Stop the Jewish Lobby in America? Had such statements been made by high-profile members of President Trump's team they surely would have not gone un-noticed by leaders of the American Jewish community and the media. 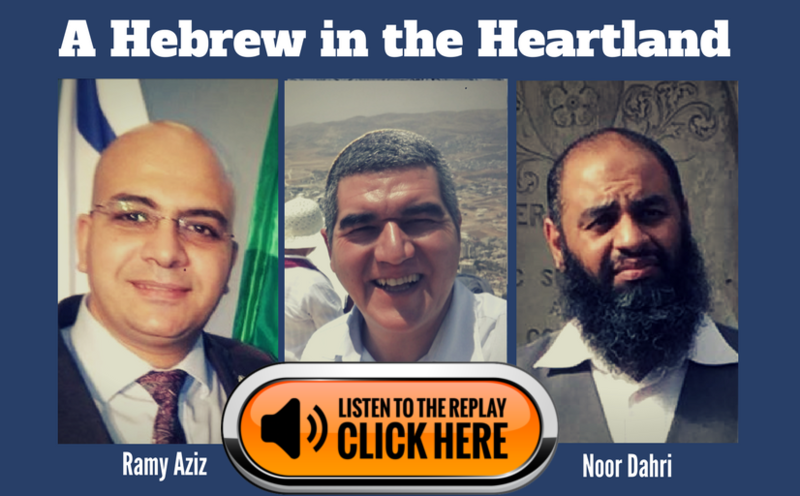 On Today Show David Ha'ivri will be speaking with Ben Tzion a Jewish man who recently traveled to Saudi Arabia. Dangerous, adventurous, surely unusual. 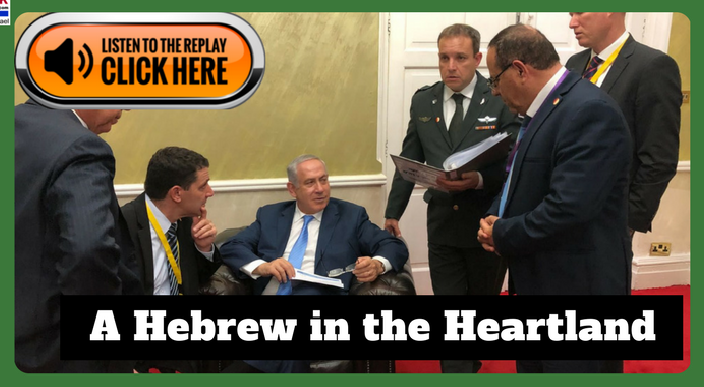 A Jewish man of faith and peace Ben Tzion regularly visits holy places to the Jewish religion in Israel and elsewhere was recently the center of commotion on social media after his pictures we're shown visiting in in Saudi Arabia. Currently Saudi Arabia is closed too Jewish people. Apparently traveling on A non Israeli passport Ben Tzion claims to have been on a mission of peace and friendship with our Muslim neighbors. Although many received him very well there were also quite a few negative comments on social media and Arabic press. David will ask Ben Tzion about his motives and plans. From there David will take us to meet a Muslim woman in Egypt who loves the Jewish people and Israel. From Biro we will learn that according to the Koran the land of Israel actually believe it belongs to the Jewish people. “Everyone knows this” she will tell us. Is this part of a growing phenomenon in the Arab and Muslim world that will question hostility towards Israel and the Jews? Time will tell. Tom Garden is a Jewish man in Minnesota USA who came to Israel as a Young Man to serve in the IDF as a lone soldier. 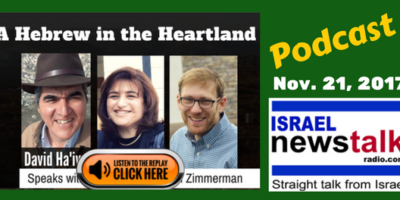 Currently a businessman in his home state Minnesota Tom takes time off to lobby for the Heartland of Israel Judea and Samaria and the Jordan Valley in Washington DC. He recently joined at the legation of leaders from these communities who came to Capitol Hill. Together with them he gave out thousands of sweet dates from the Jordan Valley. 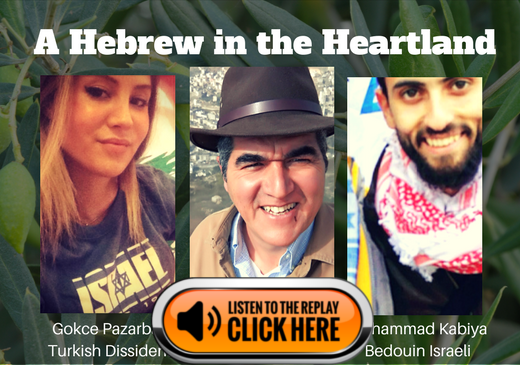 Will the sweetness of the land change people's minds about boycotting Israel? 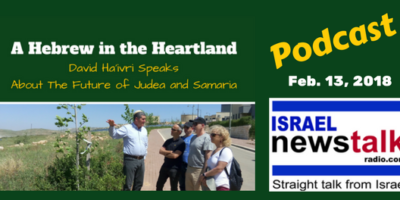 Time will be a guest on our show and share his enthusiasm for supporting the growth and development of the Jewish towns in Judea and Samaria. 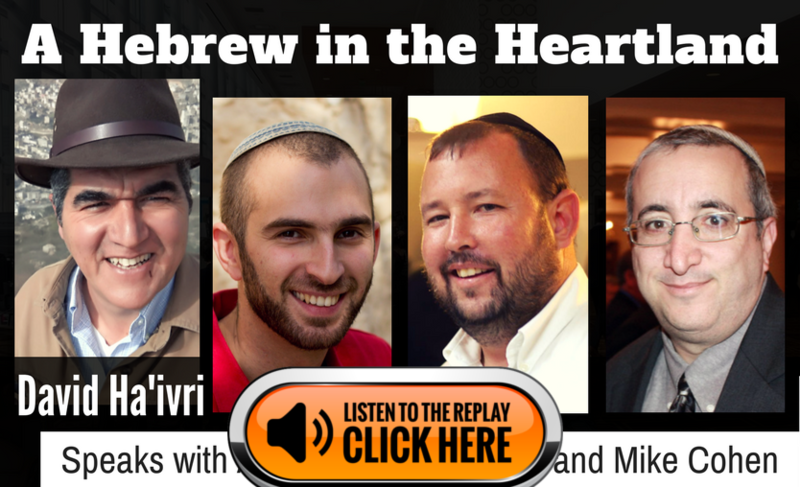 On today's show David Ha'ivri will be speaking with Paula Stern who is a blogger in Israel. For many years blogging as a soldier's mother sharing the intimate experience as a mom who sent three of her sons to serve in the IDF. today she hosts the Israel blogger platform that provides a stage for 20 difference Israeli bloggers who each share their unique experience from their own perspective. Paula will tell us about her journey a a blogger starting long before blogging became popular. 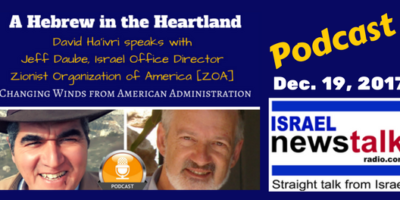 A second guest on the show will be Avi Zimmerman who heads the international relations effort for the city of Ariel in the heart of Shomron. Avi is currently leading a large group of youth performers from Ariel on tour all across the United States. Today they will be having a major event in Ariel Twin City, Mobile, Alabama. We will hear of the fascinating interaction between the youth performers from Ariel and their peers in the school are Performing Arts in Miami. 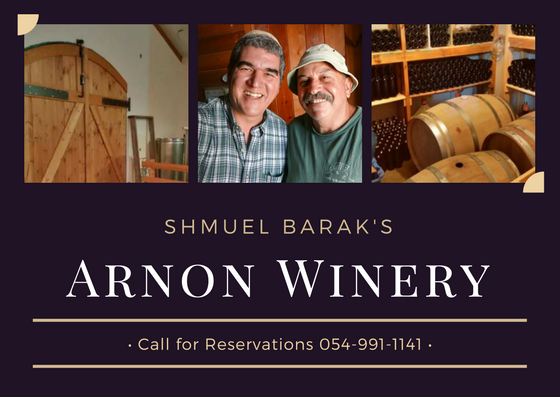 It is also amazing to see the connection of Christian and Jewish communities who have established a bond with Ariel the capital city of Shomron.